If you’re in the market for a new RV, check out our selection of new arrivals at Big Boy’s Toys that are available now. This lightweight travel trailer is perfect for individuals, couples, and those with up to one child. It sleeps three people and is laid out to maximize your space. At the front of the RV there is a queen sized bed with shelving above it and a wardrobe on either side of the bed. At the rear of the RV you will find a spacious bathroom that includes a tub and a shower. There is also a wardrobe at the back of the RV. After creating a delicious meal in your kitchen, which includes a range, microwave, refrigerator, and pantry, you’ll enjoy your meal at a cozy dinette. With room for up to four people, this floorplan is perfect for small families. It boasts a queen sized bed at the front of the RV, as well as two wardrobes. 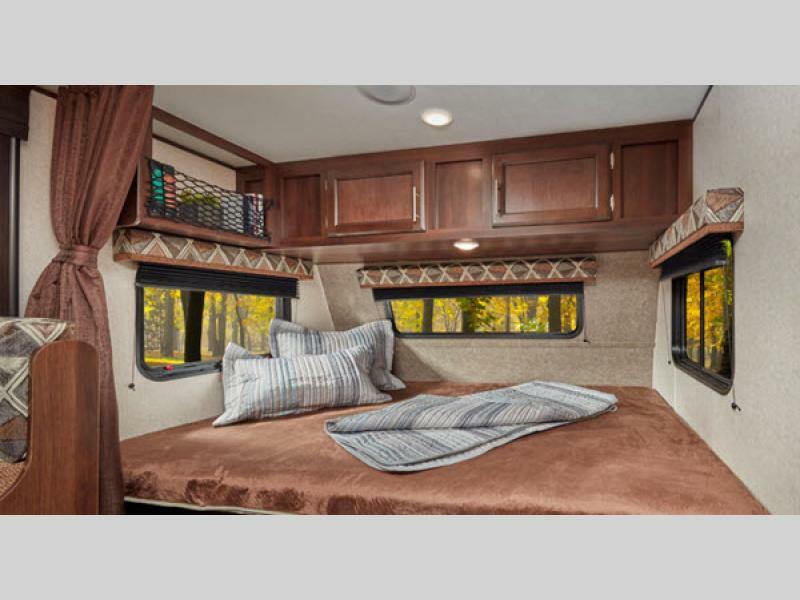 The back of the RV has a spacious dinette and a sofa, both of which are the perfect place to relax at the end of the day. 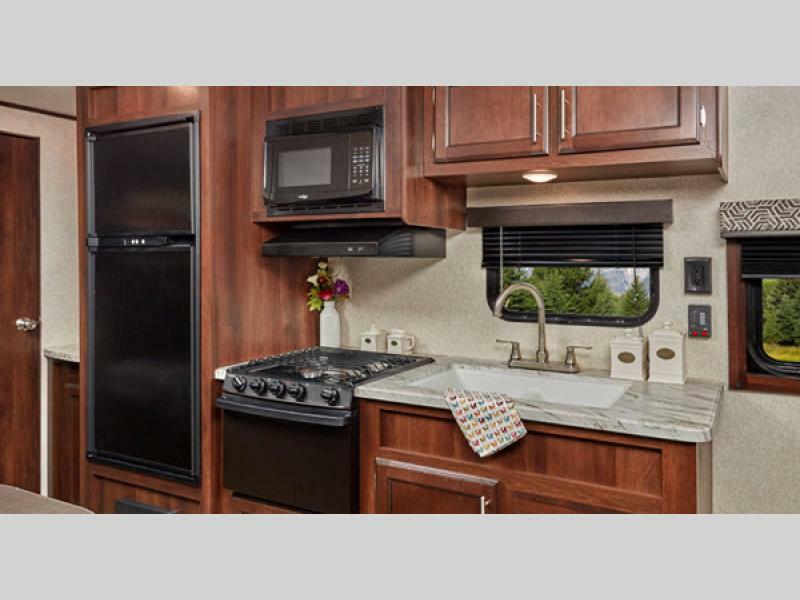 Located conveniently at the center of the RV is a bathroom that includes a sink and shower. Perfect for large families, this travel trailer sleeps nine people. It’s ideal for those who enjoy traveling with friends or allowing the kids to bring along their friends on a camping trip. At the center of the RV is a slide that holds a sofa, dinette, and overhead storage. An outside kitchen makes cooking delicious meals on days when you the weather is perfect and totally enjoyable experience. At the rear of the RV there are double bunks, which provide privacy and space for your kids or guests to relax. If you’re interested in learning more about our selection of new arrivals at Big Boy’s Toys, contact us. We can answer your questions and ensure you have the information needed to make the best decision for your needs.